Airelle Age-Defying Eye + Lip Treatment Review (2018): Does It Work? Airelle Age-Defying Eye + Lip Treatment, US $68 for a 0.3 fl. oz. bottle, is an eye and lip skin plumping solution specially formulated to help correct and treat fine lines and deep wrinkles around the eye and lip areas. About Airelle Age-Defying Eye + Lip Treatment — Does It Really Work? This product is brought to you by Airelle, a skin care line that has invested heavily on the clinically proven capability of Berrimatrix, an antioxidant derived from blueberry, to induce the skin damaging and aging effects of Infrared (IR)-A. 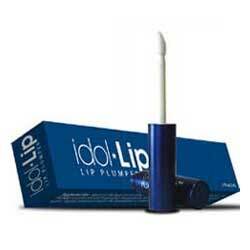 Improve the appearance of deep wrinkles and fine lines around the eyes and lips. Correct eye darkening and puffiness . Boost moisture content and improve water retention at the same time to keep your eyes well-hydrated. Enhance the elasticity and firmness of your skin. Speed up collagen production at higher volumes. What Are The Ingredients In Airelle Age-Defying Eye + Lip Treatment? Aloe Vera Leaf Juice: Supports your skin’s speedier and more efficient healing, and reinforces your skin’s protective barrier function as well. Hyaluronic Acid: Improves your skin’s hydration levels and mechanisms to help keep your skin from drying out. Glycerin: A powerful emollient that floods your skin with moisture as well as support the restoration of proper hydration functions. Peptides: Improve cellular coordination to improve collagen production as well as to enhance other mechanisms that repair, regenerate and renew your skin. L-Ascorbic Acid: A Vitamin C derivative, this ingredient super charges your skin cells, giving these the energy level necessary to revive your skin health and revitalize your skin’s youthful appearance. Tocopheryl Acetate: A Vitamin E derivative that soothes and smoothens your skin inside and out. Manuka Honey Extract: It adds a significant amount of hydration that revives your skin’s vitality as it also simultaneously delivers anti-inflammatory properties that relieve skin irritations and other signs of inflammation that can lead to damage and aging. Using the steel ball applicator, shake then roll Airelle Age-Defying Eye + Lip Treatment over around your eyes and lips. For an extra soothing and cooling effect, refrigerate product. Airelle Age-Defying Eye + Lip Treatment comes with a stainless steel ball applicator that cools and soothes your eye and lip areas, resulting to improved blood circulation and providing relief to stuck fluids and inflammation. This product has been guaranteed by the manufacturer to be safe for use on all skin types. This product evidently lacks a wide variety of highly potent antioxidants that help protect skin from damage and aging down to the cellular level. 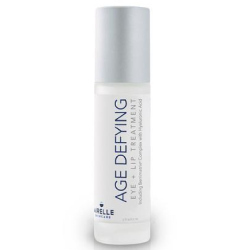 Airelle Age-Defying Eye + Lip Treatment reviews posted by users indicate that this product may not be sufficiently formulated to relieve puffy eyes. Does Airelle Age-Defying Eye + Lip Treatment Have Any Side Effects? Based on the ingredients and reviews, it’s likely that the only side effects that can be expected when you decide to use Airelle Age-Defying Eye + Lip Treatment are skin irritations and allergic reactions. Airelle Age-Defying Eye + Lip Treatment offers a targeted solution specifically suited to relieve dark marks, wrinkles, and other signs of skin aging. The formula mostly consists of rehydrating ingredients which may not be enough when your primary concern is anti-aging.